I kid you not. Restricted circulation is no joke! Read it for yourself. People of all abilities may now recognize that adaptive clothing is not only more comfortable, but can possibly save your life. All kidding aside, looser pants for women are trending with a more generous leg opening. 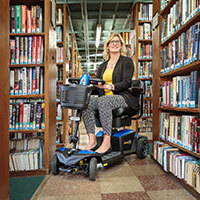 It’s so much easier to get your feet through, but if you’re a wheelchair user be careful they’re not so wide as to get caught in your wheels. They’re really nice in white. Or you could wear a white jean which really looks great. Wear them with lace up shoes. Summer is here! Floral prints and stripes in bright colors are everywhere and have an uplifting feel. Don’t be afraid to wear something bold! Jeans are either dressy and crisp, or cropped in any leg width you like. I like the now-in-style frayed edges, which is perfect if you hate hemming. Just cut the edge and wash them, unfinished. Skinny still works too and we have an adaptive legging with an inside-out waistband that won’t rub if you have skin or sensory sensitivities. Of course, they sit higher on the back waist. Instead of wearing a sweater when it’s chilly in the evenings, go for the new spring trench coat. They’re shorter than the big raincoats that the detectives wore. Here’s a beautiful adaptive version from IZ Collection. This all points to a look that is feminine and more about woven fabrics than knitwear, which are actually more flattering to women’s bodies—less clingy. Show some shoulder, too. The greatest thing ever has to be the sneakers that look like shoes just with rubber bottoms. Wear them with everything, even suits! Pants are cleaner and shorter. Wear your jeans as slim as possible and keeping them shorter will look newer. Blazers are a nice follow-up to all the motorcycle jackets and always look good. 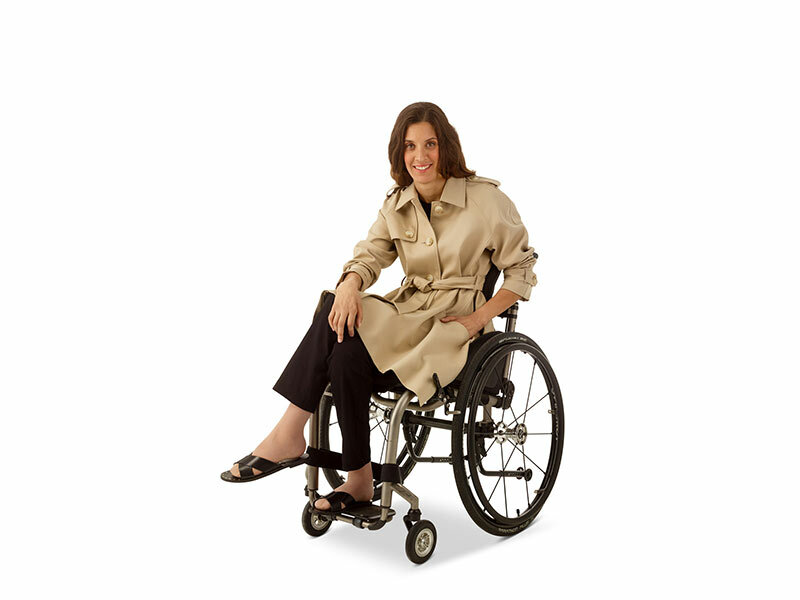 If you’re a wheelchair user, it will look better if you have one tailored to be shorter in the back. Your local tailor should be able to do it. Adding even one of the new looks can liven up your style and make you feel good. Be sure to check with your adaptive designers to see if they have the looks to get you there! Stephanie Alves is the Founder and Designer of ABL Denim, a premium denim adaptive jean line made in U.S.A. for men, women and children.